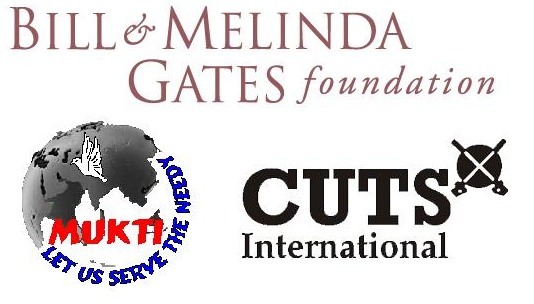 MUKTI, the leading NGO in eastern India, has recently taken initiative in partnership with CUTS International on food security and rice production. The project is being supported by Bill Melinda Gates Foundation, and involves exploring bi-lateral trade possibilities of HYV rice seeds between India and Bangladesh. Project RISTE (Addressing Barriers to Rice Seeds Trade Between India and Bangladesh) is being implemented in four states in eastern India ( Bihar, Jharkhand, Orissa and West Bengal) and three regions in Bangladesh in partnership with different NGOs. Eastern India and Bangladesh share similar agro- ecology in rice cultivation and a large local market for the same. This could be leveraged to promote rice seed marketing in both the countries resulting in enhanced production. It could play a part in ensuring food security and economic upliftment of the regions. In this project MUKTI aims to conduct a study on farmers’ perspectives, seed marketing feasibilities, value chain and rice seed entrepreneurship opportunities to look for loopholes in trade barriers and seed sectors e.g. policy initiatives, seed production system, role of public and private sector, variety registration procedure, varietal protection and the likes. The project would also allow MUKTI to analyze issues of Non-Tariff Barriers (NTB) and Para-Tariff Barriers (PTB) that hinder India- Bangladesh rice seed trade. This includes researching into spaces where tariff barrier and standard testing risk being the biggest impediments in the growth of bi-lateral trade between the two countries. MUKTI will identify such trade barriers and attempt to formulate solutions towards a “win-win-situation” on HYV rice seed trade ties with the neighboring country. This aspires to subsequently ensure food security and economic upliftment. Bangladesh currently imports 90% of its rice seeds requirements from China ,though importing it from India would cost much lesser. Additionally farmers of both countries would be benefited if there exists open trade and formalized bi-lateral trade policies. The project aims to institutionalize key factors, analyze leverage points of trade policies and facilitate advocacy with policy makers of both countries. MUKTI envisions this project in four phases from July 2013 to September 2014 .Accordingly the set activities of desk research and field research on the factors driving demand and flow of HYV rice seeds in West Bengal have been planned. The plan includes organizing a workshop at Kolkata, to identify and enable key informants to generate a rice seeds flow map of West Bengal. In this workshop MUKTI will make a presentation on the demand scenarios and bilateral trade potentials between Bangladesh and India for HYV rice seeds. It will also organize an outreach meeting in Kolkata with a presentation on major insights e.g. achievements and outcomes of RISTE project and its sustainability matrices through interactive discussions among the participants. Finally, it will consolidate inputs and insights on factors driving other seeds trade between India and Bangladesh for knowledge sharing on bilateral trade of HYV rice seeds.MUKTI, as an organisation works in the verticals of socio-economic development , food security and rural economic reforms, education and skills development, livelihood improvement and protection of people’s rights at the very grassroots. This project enhances MUKTI’s capacity by analyzing market channels for agro inputs (seeds) and determining a seed supply chain that will ensure food security in West Bengal. 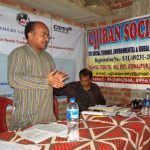 Production is on a downhill trend causing rural economic fragility and so is the vulnerability of farming communities in West Bengal. Project RISTE will analyze for the barriers of seed supply and will pave a way for involving farmers in production and marketing and promote rice seeds entrepreneurship which would in ripple ensure economic upliftment of the poor, who MUKTI stands for.